These white giraffes are truly more than a once in a lifetime sight. These beautiful creatures are probably the definition of "exceptionally rare". Wildlife conservationists in Kenya were left amazed as two white giraffes were spotted in Garissa county. The mother and child were spotted at Ishaqbini Hirola Conservancy. 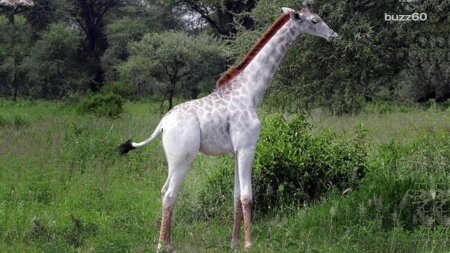 These beautiful creatures are often confused to be albino giraffes as they suffer from a condition called “leucism”. The condition is genetic and disrupts the pigmentation in skin cells. KimE12 Uploaded by KimE12 on Aug 25, 2018 . Rare white giraffe - Desktop Nexus Animals Download free wallpapers and background images: Rare white giraffe. Desktop Nexus Animals background ID 2413549. These white giraffes are truly more than a once in a lifetime sight. These beautiful creatures are probably the definition of "exceptionally rare".